So as some of you might already know I am staying in Brittany, France for three weeks. But first I needed a new weapon… On Monday (Feb. 1st) I was able to go pick up my new board at the BIC headquarters here in Vannes. First thing after getting the board was a grueling, windy 10k time trial on the river Odet between Benodet and Quimper. 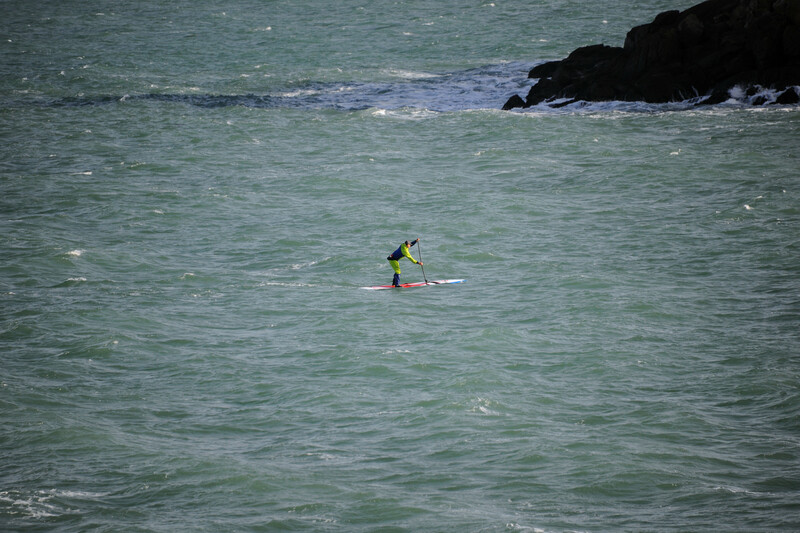 The board felt fast and stable, even in some heavy side wind. The idea is to redo the trial at the end of the three weeks and hopefully see some improvement. The next sessions were in the harbor here in Douarnenez and on the bay. The wind got even rougher and turned slightly north so that we even had wind and waves in the harbor. Even though it is a very good training to go up- and downwind all the time I hope the wind will calm down a bit during the next two weeks. If not I will have to open some new downwind runs, the possibilities here seem endless. So when talking to people these days one of the top questions I get is: How do you train during winter? Do you still paddle? Let’s take a closer look at this. 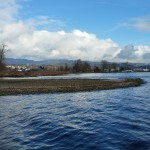 Obviously I still paddle during winter, but how is the question. In my experience you better once in a while admit that it is to cold, wet or windy for a paddle and stay indoors. Being sick for a week will cost you a lot more than a well compensated missed paddle session. Good possibilities to compensate for missed paddletime are for example swimming, running, indoor cycling, indoor rowing, or, if you have the possibility, a stand up paddle ergometer. I will talk about the benefits and the different types of crosstraining in a future post. 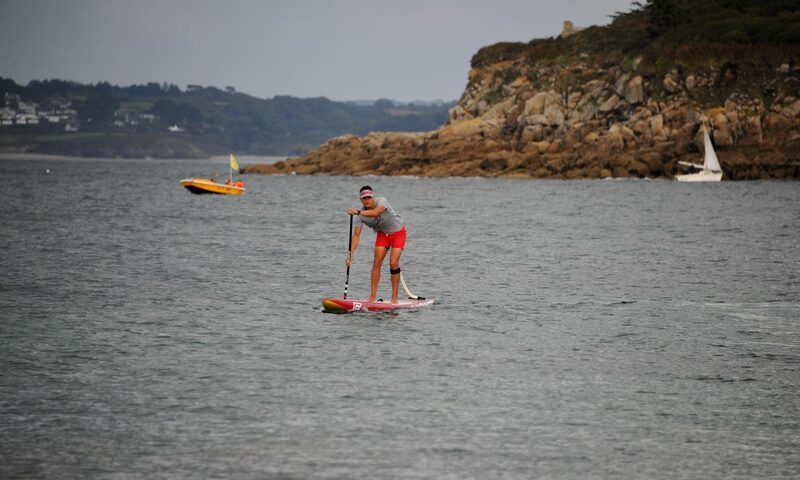 Still my sport is SUP and I try to balance as much water training as possible with as less risk of getting a cold as possible. How that? Second: Stay warm, but do not overheat! For normal flatwater training I use running or cross country skiing gear in addition to my drysuit and boots. The reason is that you wanna keep warm, but in the same time you want to avoid overheating and sweating to much. 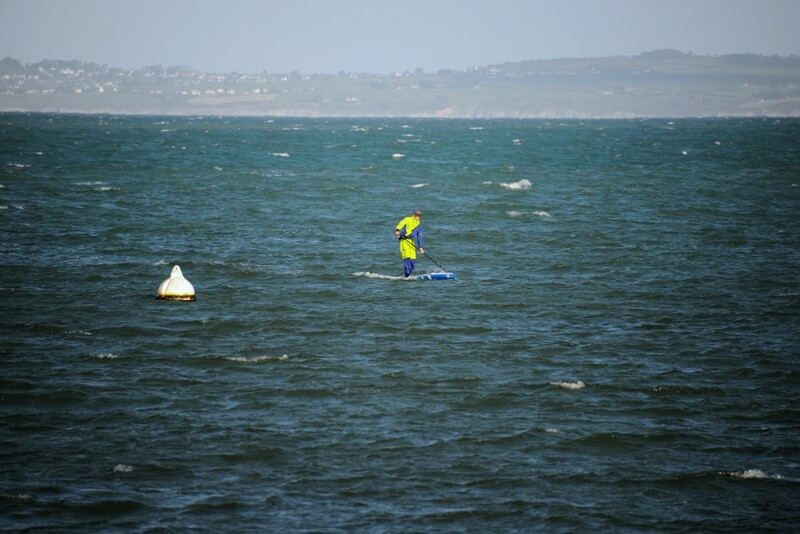 Therefore I use breathable textile beanies, gloves and neckwarmers and not neoprene ones – obviously only when I paddle in a way that I won’t fall. If you expect to fall you should always go for gear that stays warm when wet. Additionally layer your protection in a way that you can add or remove a part to adjust your body climate. 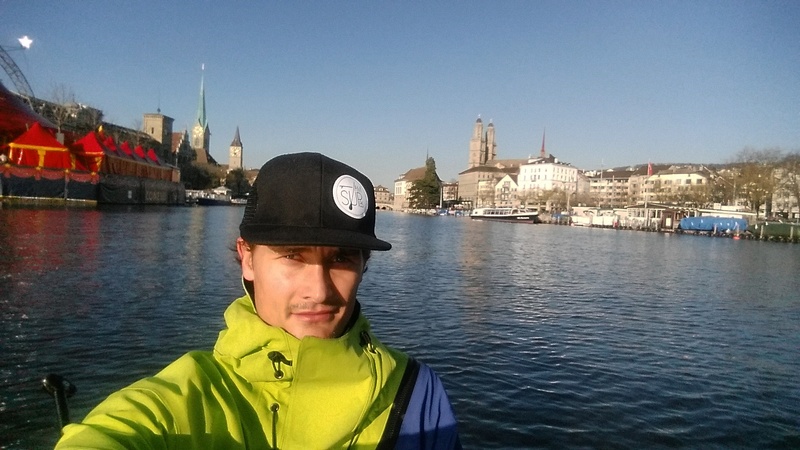 For example I always keep the neck-warmer and the hood of my drysuit down while paddling intervals so that I sweat less and I can put them up for the cooldown to get additional protection. Third: Manage the intensities. Nothing is worse in winter than paddling on a high intensity level shortly before standing around for a while. Keep in mind to keep moving during training, and plan your sessions in a way that you will be able to change quickly after intensive paddling. So if you have a technique block and an interval block in a training you should to the technique part at the beginning, so that you are able to go change quickly after the intervals and a short cool down. So paddle on and stay healthy and safe! First let me wish you all a happy new year! 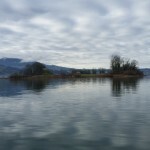 My year on the water started with a tour from Pfäffikon SZ to Rapperswil and back. On the right you can see the map and distance of the tour. 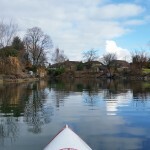 I started in Pfäffikon, paddled to the dam an crossed it halfway, until the small entrance to the left which leads to a little shortcut through Hurden (picture below). 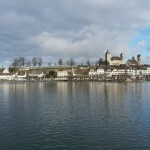 From Hurden I then followed the dam to Rapperswil and made my way upwind to the marina of Stampf. 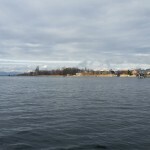 On the way back I crossed the dam on the Rapperswil side and followed the yellow buoys around the Lützelau island back to Pfäffikon. If you want to do this tour make sure you take a PFD with you (you leave the 300m zone) and stay out of the yellow buoys (nature reserve). To test my winter-fitness I participated in the Silvesterlauf in Zurich. It is a 10k run right through the center of the city. We were very lucky with the weather as it was sunny and about 8 degrees. I wasn’t very confident going into the run, as I fought a cold for the last two weeks, but I decided to start anyway. The first of four laps felt very good and I started to believe that I could beat the 40min mark, but in the second lap i had to fight a bad stitch and stomach cramps so I had to slow down. In the end I managed to finish in 40:53 – slower than I wanted, but considering my preparation I am still happy with the result. The next competition will be the training race in Eglisau on January 09 (www.dragonboat.ch). 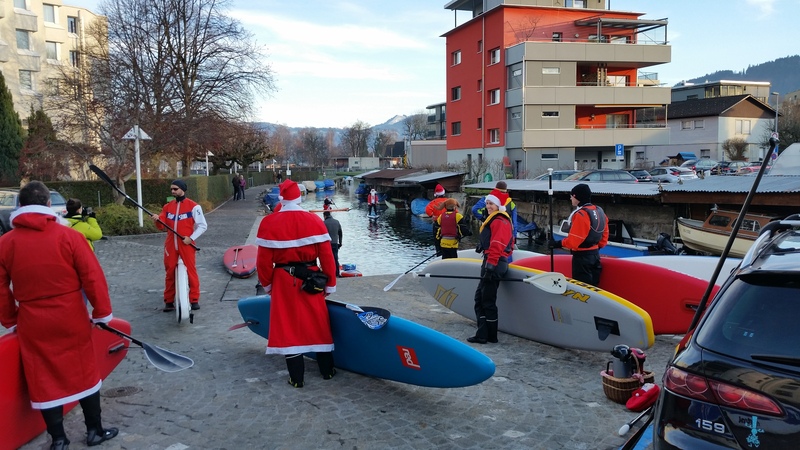 On saturday the 5th Andi from the sup-piraten24.ch shop organised his annual santa-sup-paddling. 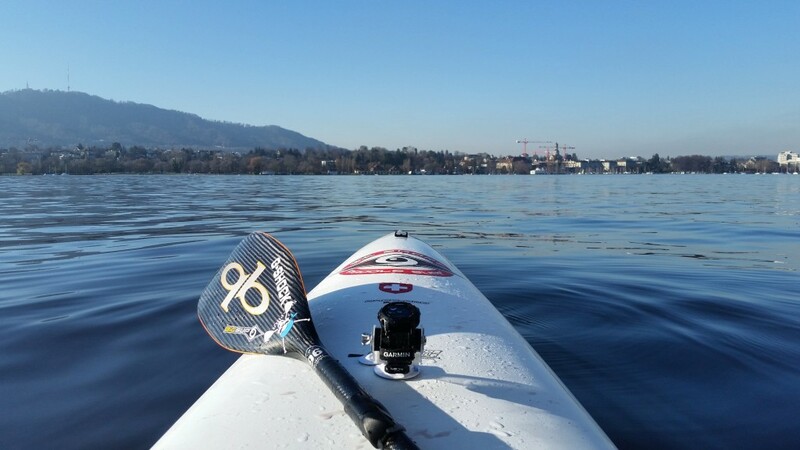 Despite the thick fog in Zurich we had perfect weather in Aegeri and alot of people showed up to paddle with us! We started our paddle at his shop in Unteraegeri and made our way on the perfectly glassy lake. The weather was amazing and as the sun was setting slowly giving us a perfect setting. 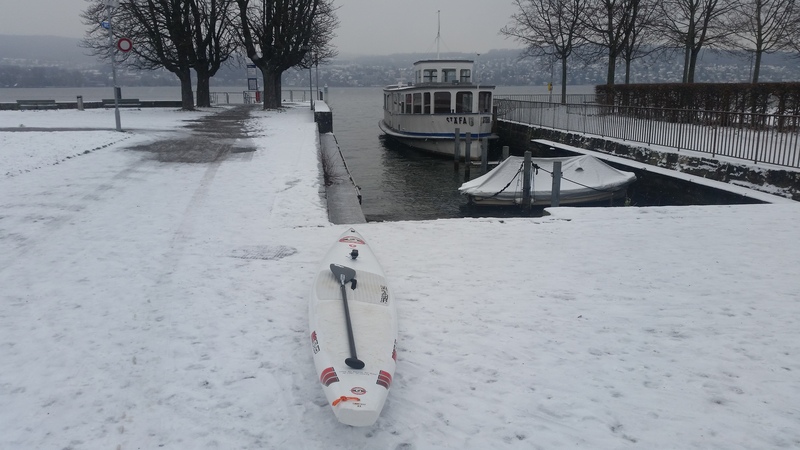 We paddled to Oberaegeri where we had a picture break and then a hot drink at the empty Lido. After our short break we made our way back to the shop where we had a tasty fondue (Andi’s secret mixture). 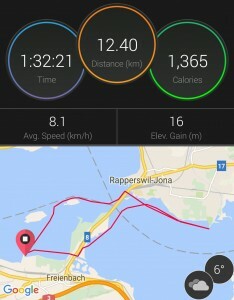 Yesterday I managed to get back on the water after being sick for almost a week. The weather was perfect and there wasn’t even any wind. I paddled my standard 8k in the city with 800m on race pace to test my recovery state. I am still not at 100% but i am confident that I will be soon. Tomorrow will be the time to decide if i will compete at the training-race in Eglisau (dragonboat.ch). 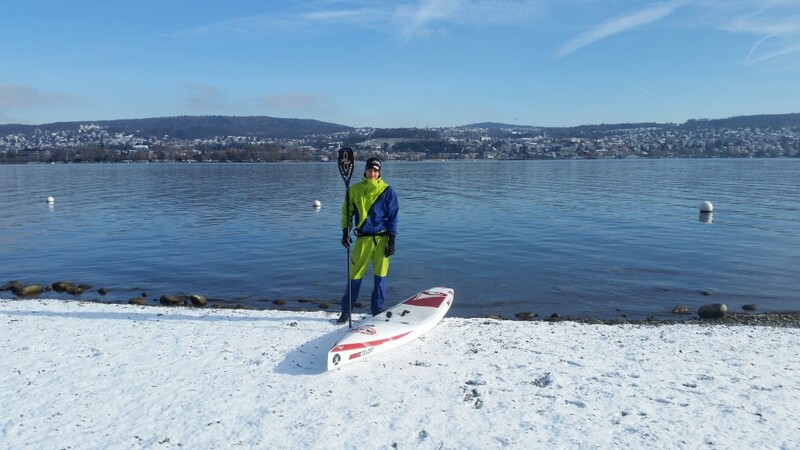 Right after the race in Eglisau will be the Santa-SUP with the SUP Pirates in Aegeri. -UPDATE- Due to the lack of participants the training-race in Eglisau has been canceled. Pitty for the opportunity to race, but perhaps better for my recovery. The next race in Eglisau will be on Jan 09 2016. 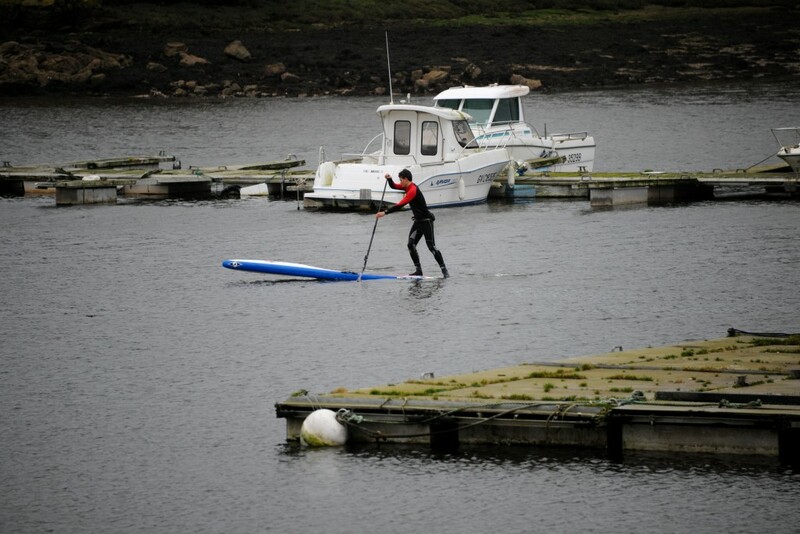 Saturday afternoon will be the Santa SUP event with the SUP Pirates in Aegeri! Register on their page (sup-piraten24.ch) or stay tuned for the pictures! The link is in the event section too. 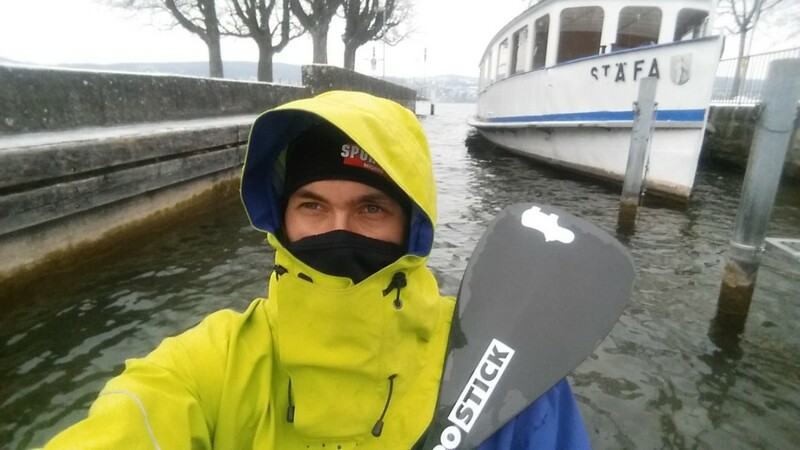 Last Sunday I took my inflatable sup to Fribourg. As it is inflatable I wanted to to a one way trip, so I went to the dam of the Schiffenensee by train and bus and then returned paddling to Fribourg. The whole lake is about 11.5km long and last weekend there was almost no current, so it took about 90min to paddle. The weather was brilliant, so it felt more like late August than early November.